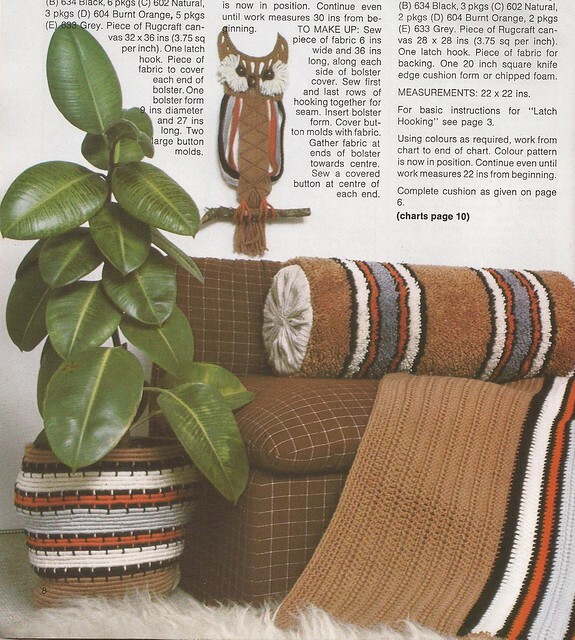 Retro décor at it's finest! There's nothing quite like a completely coordinated room, is there? Especially one that's been decorated with four different crafts, all made from the same yarn. And don't even get me started on the shag rug!